Wardrobes are an essential part of your bedroom, sliding doors by FormFunctionNT will add a feature to your room that will blend and enhance your room design. We have been creating original master pieces for homes in Australia for the last 15 years. Various Timbers, colored glasses, melamine, perforated mesh, veneer, bamboo - you are only limited by your imagination. Our goal is to provide a high level of quality, respect and safety, We will also ensure that tradesmenship and client satisfaction to complete project objectives are carried out in a timely manner. Building a new dwelling can be overwhelming and our professional approach is to helpfully guide clients through a smooth transaction to reach the project objective. We assure security of dwelling, liaise with client on products and resources, progress, any restrictions to services, start and completion dates and payments made on approved progress. 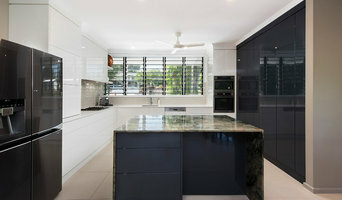 Realistic Views is one of Darwin's leading and longest running real estate marketing businesses. Jacqui has worked in marketing for many years while Troy has a solid sales background. With Matt recently joining the team with an experienced eye for detail - the team is well rounded and able to respond quickly to your needs. We offer a full service from floorplans to text, photography to drones, 3D scans and Virtual Reality. If you can think it - we can do it! Regina has been working with Tropical Plants in Northern Australia for over a decade. Growing, creating and designing Tropical gardens for a large array of clients. Understanding the Unique climate that is the tropics is the key to designing a tropical gardens that works with our climate and not against it. Previous clients include; Body corporations, Childcare centres, Landscapers and private clients. Pina Furniture has a Huge Range of Indoor which is Contemporary, Modern, and Tropical Designs. Timbers are Hardwoods and Solid Timber and are all Certified and able to withstand the Northern Tropics. We have a Wonderful Outdoor Range, very durable, comfortable and long lasting. We also design new Furniture and introduce new lines of Homewares regularly. For many people, purchasing a new kitchen or bathroom vanity is a large investment in their home. Here at A1 Cabinets we endeavour to give our clients the very best product available, in accordance with our client’s design aesthetic. It is your opinion that counts, so we will work together, providing ideas that work, in order to meet and exceed expectations. We have a brand-new showroom filled with some of the latest products from the worlds leading suppliers. We can also provide information about other products that may meet a clients particular desires. Come in and have a look - for inspiration, for ideas. Talk to our friendly, knowledgeable staff about an obligation-free quote. 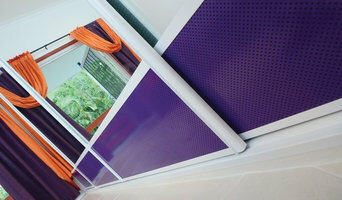 Or just look around, have a lolly and see what A1 Cabinets can do for you! I am committed to delivering original, functional and timeless interiors that respond to my client’s brief and reflect a sense of their personality. Whether it be residential, commercial or hospitality, I will deliver a highly detailed and well-documented solution with an aim to exceed my client’s expectations on all levels. 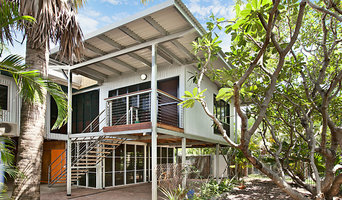 Rossi Architects are client focused Rossi Architects are relationship building professionals; recognised for delivering exceptional designs in Darwin and the greater Northern Territory. Transparent dialogue with clients, builders, developers and key stakeholders creates understanding and trust from design inception through to completion, ensuring all key objectives are delivered. With an enviable standard of design and rarely found attentiveness, Rossi Architects listen, engage and deliver results. 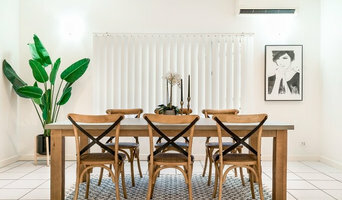 Rossi Architects design with you, for you As one of Northern Territory’s emerging architectural practices, Rossi Architects collaborate with clients to craft their design vision. Revolutionary immersive software brings design elements to life, allowing clients to experience context and living from the outset. With all the practicalities drawn upon, Rossi Architects create structures and spaces that speak for themselves and convey beauty and finesse. 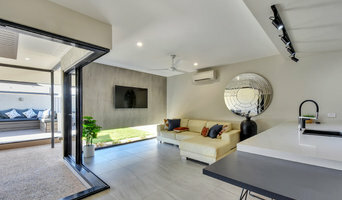 Rossi Architects are a team of respected designers Rossi Architects are the essence of great design in Darwin and the Northern Territory. The highly dynamic team continues to successfully deliver educational, community, commercial and residential projects and combines over 38 years of recognised architectural knowledge and experience. Experience a Rossi Architects home for yourself. Rossi Architects craft unique designs, for the real world Modern architecture is one that respects the context while making an impact. Rossi Architects visualise great ideas and craft quality built structures. The dynamic team consider every design project as an opportunity to express creative vision and channel their intrinsic understanding of beautiful and timeless design. Reach out to multiple professionals — especially for larger projects — and don't settle for the first bid you hear. Comparing multiple Darwin, Northern Territory professionals' bids and experiences can help you find the one that’s best for you. Ask a lot of questions now, so you won't have unexpected answers later. Find a home design professional: Narrow down your search by type of professional and location. Browse Darwin, Northern Territory portfolio photos, read client reviews and contact each Darwin, Northern Territory professional for more information. Check out the information in the specialised professional sections too for tips on how to hire the right professional in Darwin for your project.